Hello, Mr. Ott – your usual flat white followed by a glass of champagne? Do you search 50 times for a flight before booking, and occasionally hover over the business class column? Your favorite airline knows. Do you usually start off with a cappuccino, followed by a glass of champagne for your long haul travels? Vast airline data is now being harvested to learn about that too. From how you collect points to where you like to sit, airlines are amassing treasure troves of data, and they’re only just beginning to mine and harvest this data into extra bucks and wowing customer impressions. When you login to your frequent flyer account, and perhaps even when you don’t (creepy), airlines are learning about you. They’re learning how many clicks it takes to get you to book. They know how many points you’ve got, what cabin you usually book and also your favorite routes. And things don’t stop there. Are you a window seat traveler? They know. Do you buy food on board? They know. In an interview with the Financial Times, the head of the Airline Passenger Experience Association mentioned a need to go much further, like “Google level”. After all, airlines do have our names, addresses, birthdays and credit card info – more than enough to make educated assumptions. The Financial Times article is well worth a read. For example, researchers at the Amrita School of Engineering in India believe that each flight could yield 1,000 gigabytes of passenger data. That’s more space than whatever your reading this on can hold. For an airline like British Airways, with more than 600 daily flights – that’s a powerful load of data which can be shared in real time, thanks to emerging mobile communications solutions. Delta is asking cabin crew to seek out and interact with at least five customers from all levels of their loyalty program on each flight. It may be a casual conversation, or a napkin note welcoming you aboard – but it’s designed to bring personal feelings to an otherwise sterile experience. Why? Customers who feel valued spend more money. British Airways now recognizes members as they move up their loyalty ranks in real time, often with gestures of thanks upon reaching milestones, even at 33,000 feet. United is using iPads to proactively monitor for journey issues, and re route or rebook customers automatically from the air before landing using this new stream of airline data. American Airlines uses iPads to identity frequent flyers and present them with special snack boxes and drinks and also to offer compensation immediately, rather than “take a number”. Delta notes a recent flight where flight crew used their iPad system to alert staff on the ground that a passenger spilled a drink on their shirt. Ground staff were able to procure a shirt for the passenger and present it immediately upon landing – problem solved. As airlines harness these mountains of data and move toward booking systems which instantly drum up feelings of the film “Minority Report”, personalization is everything. What if airline data makes the case for a one time offer to the customer who always books premium economy, but always glances at business class? No one else gets the offer, or even knows it exists, so very little is lost – but the airline squeezes a few extra bucks out of that pocket. And why stop at booking? 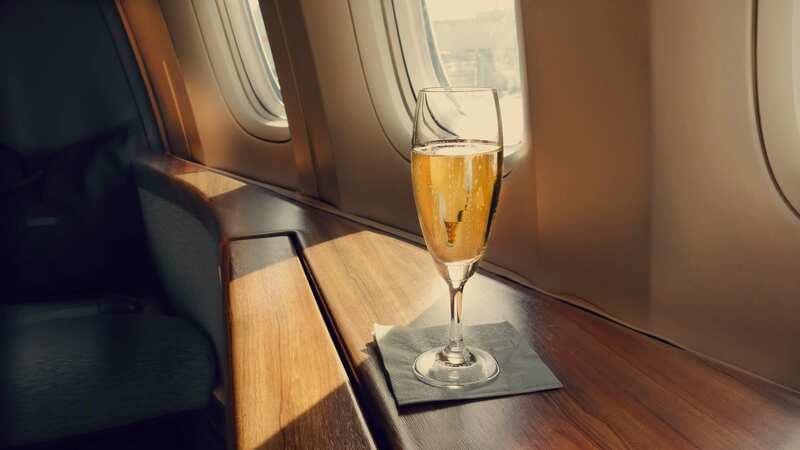 Hello Mr. Ott, we know you love a glass of champagne when flying with us in business class, so even though you’re in economy today, please enjoy this glass as a gesture of thanks. Your habits may all become airline data one day. The FT article makes an excellent point: with great data comes greater responsibility. Is there such thing as “too far”? What about the safety of the data? If airlines start handing out two shot, no foam with one sugar coffee’s, is that exciting or alarming? Sita lab is one such company aiming to harness the power of the data, while using emerging technologies such as blockchain to secure and stratify any data points. One thing is for sure, airline loyalty is on the way to becoming utterly fascinating. What took them so long? How do you feel about airline data? Big Brother anyone? I trust corporate level uses of data almost as much as I trust tRump.